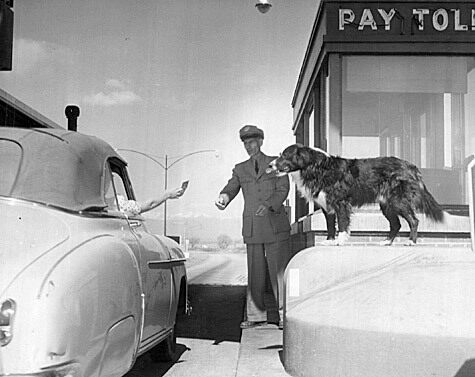 When a stray dog wandered into the construction site of the Boulder-Denver Turnpike tollbooths in 1950, it didn’t take long for the pup to become a permanent presence. 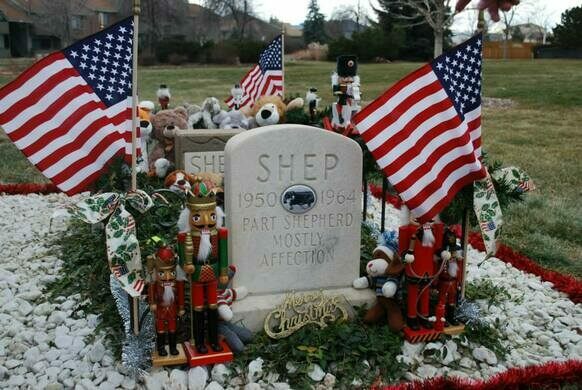 Workers adopted the dog and named him Shep. He spent his years at the tollbooth on U.S. 36, greeting travelers and eagerly accepting their payments (in the form of treats and toys). 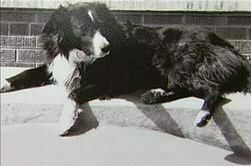 The Colorado Department of Transportation even made him its unofficial mascot. 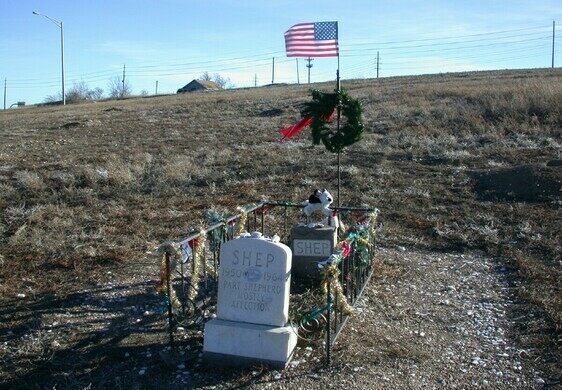 When Shep died in 1964, highway maintenance workers buried his remains next to the road. 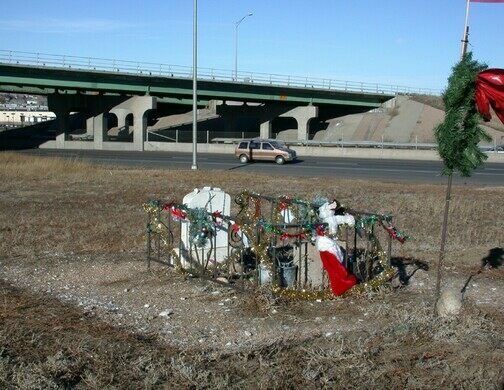 An unknown person began tending to and decorating his grave for holidays. 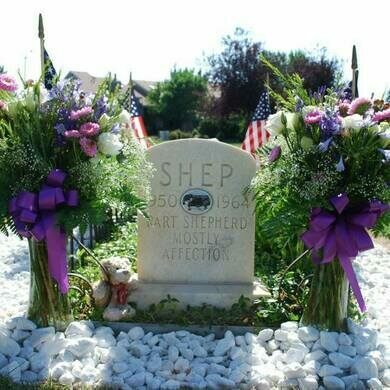 However, due to construction, Shep’s final resting place was relocated to Zang Spur Park, next to the Broomfield Depot Museum, in 2009. 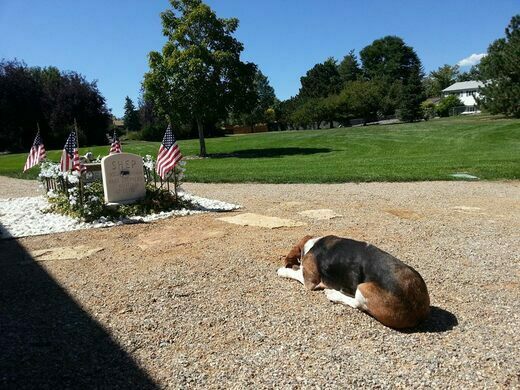 Local dogs and their humans still frequent the site to pay their respects.